ERG personnel performed due diligence and remediation services for the Brownfield redevelopment of the former unregulated Sanicem landfill site. This project involved the redevelopment of the former Sanicem Landfill and adjoining property. The proposed site uses were planned to be a high technology office and industrial park. The site consists of approximately 145 acres in Oakland County, Michigan. The landfill was never lined or capped, nor were adequate leachate collections or methane venting systems installed. The landfill ceased operations in the early 1980’s. Based on the results of the preliminary due diligence study, it was determined that the site would be suitable for redevelopment, provided the appropriate remedial measures and due care obligations were instituted. An Act 381 Work Plan was prepared, submitted and approved by the State of Michigan. The Work Plan included landfill gas control, venting design and implementation; design and implementation of structure protection against the accumulation of landfill gas; leachate collection and treatment design and implementing; remedial investigations and due care plans; land balancing and capping; contaminated soil removal and disposal; geotechnical controls; and, O&M. ERG operates and maintains the leachate pretreatment system. ERG conducts leachate discharge monitoring in accordance with a DWSD wastewater permit. The DWSD permit requires semi-annual self-monitoring reports, semi-annual sampling the system following the accepted time weighted application, and annual site meeting with DWSD personnel. ERG also operates and maintains the landfill gas recovery system. ERG collects gas monitoring data quarterly, summarizes gas monitoring results and prepares, on a quarterly basis, tables/figures that summarize vacuum influence at monitoring locations. ERG submits the gas monitoring report to MDEQ RRD and AQD. 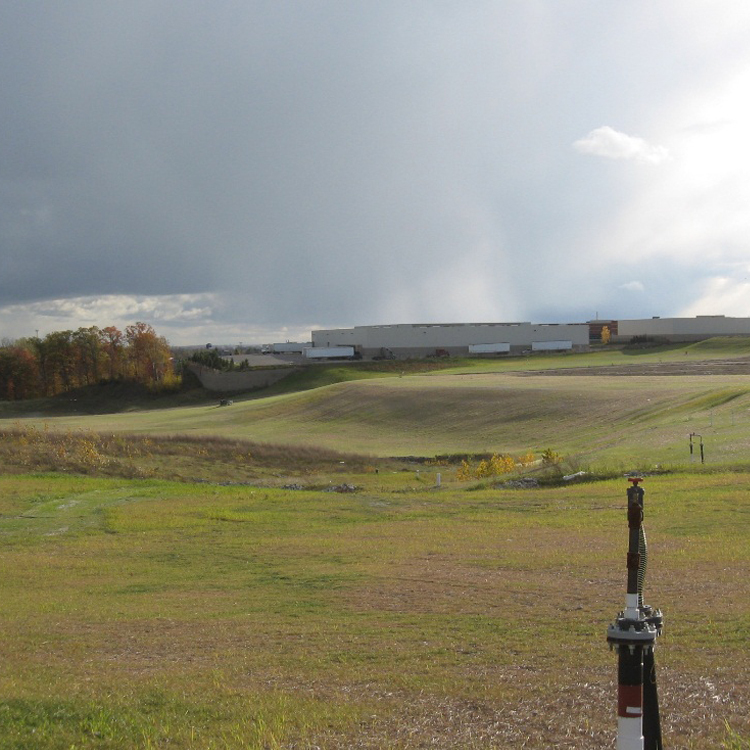 ERG re-balances the landfill gas system, as needed and to the extent practicable, to distribute venting to the areas where it is necessary.